If you are interested in pre-ordering a copy of Tina’s book, please visit the URJ Books and Music website. What we eat says so much about who we are and from where we come. Do you like your matzah brie sweet or savory? Is your chicken soup matzah ball or mulligatawny? Does your menu feature a cheese torta or a tofu salad? Wherever Jews have settled, they have adapted local tastes and ingredients to meet the needs of Shabbat and kashrut, creating a rich and diverse menu of flavors and styles, all still Jewish. 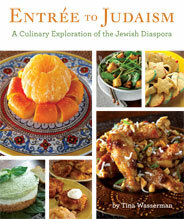 In Entrée to Judaism, Tina Wasserman leads a culinary journey around the world and across the ages, from Spain to India, from Russia to Tunisia, sharing the histories and recipes of the great Diaspora communities and the many wonderful ways they have told their stories through food. Features “Tina’s Tidbits,” fun facts and great cooking tips for every recipe. Includes over 275 recipes and dozens of full-color photos. 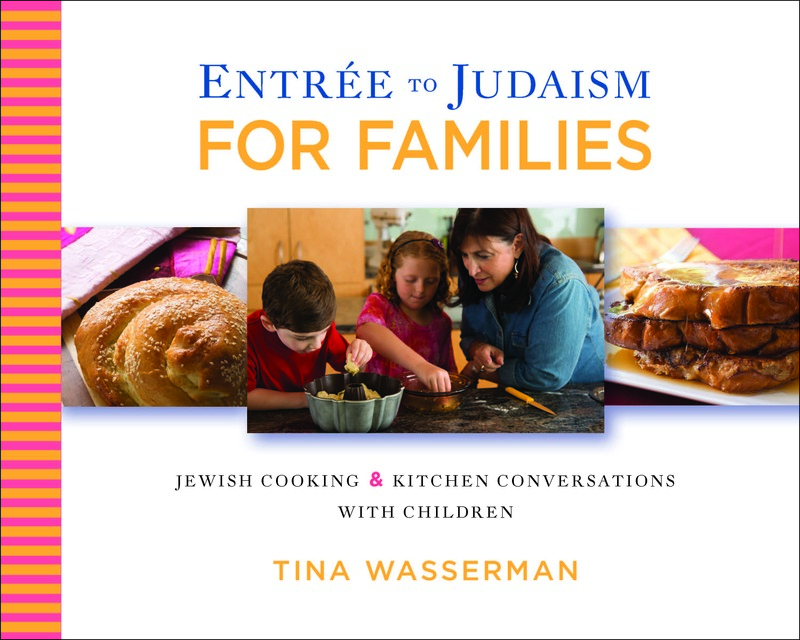 Tina Wasserman is an award-winning cooking instructor, specializing in contemporary kosher cuisine. Trained in nutrition and education, Tina holds degrees from Syracuse University and New York University, and is a popular food educator in her own cooking school and as a scholar-in-residence in communities across North America. In 1994, Tina was elected to Les Dames d’Escoffier, an international culinary society that honors women in the food and beverage industry. Tina has been the food columnist for Reform Judaism magazine since 2003. She lives in Dallas, Texas, with her husband and is the proud mother of two grown children. URJ Press is the book publishing arm of URJ Books and Music, an independent publisher of books and music of Jewish interest and the official publisher of the Union for Reform Judaism. URJ Books and Music produces textbooks, program guides, children’s books, non-fiction titles, songbooks, and CDs used in religious schools, day schools, synagogues, and homes throughout the Reform community and the larger Jewish world. Tina is one of only four members of Les Dames d’Escoffier in the United States honored as an expert in Jewish cooking and culinary history. 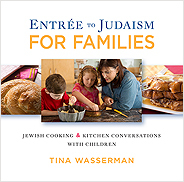 Tina taught traditional Jewish cooking at the 92nd Street Y, Manhattan JCC, Philadelphia JCC-Kaiserman Branch, and the Dallas JCC. As “Chef Field” at Marshall Field’s department store in Dallas, Tina coordinated the highly successful cooking school classes, providing running commentary for the visiting guest chefs from all over the metroplex. Tina’s writing has been featured in newspapers and magazines throughout the country.